An apology to all my blogging friends – a migraine means I can’t look at screens right now. (This was dictated to an able PA named Maddie). I’ll be back to see you all the moment my head will let me. Sometimes buildings are more than bricks and mortar, wattle and daub, or whatever. In each of our pasts-or, indeed, presents-there are buildings, which speak to us, with something stronger than words. And sometimes, it’s hard to put your finger on what that something is. I was strolling down the street, in the market town of Newbury the other day, when I experienced something akin to love at first sight. There it sat, surrounded by the paraphernalia of the 21st century, Declaiming the past 400 years with all the stout practicality of a well-seasoned Berkshire farmer. It was, in fact, two buildings, which had become accustomed to each other throughout the centuries, like an old married couple. One, was built by a master carpenter, from the near-by village of Speenhamland, between 1626-7. The carpenter, Richard Emmes, was commissioned by the ancient Newbury Corporation to build a cloth factory, to give textile workers from the town alternative employment. And build it he did. Wooden-framed, with elaborate carving, which stands out ebony against the smooth creamy plaster panels. It was the Kennet Navigation, a canal opening in 1723, which necessitated the building of the younger of this pair. The town’s people built a granary to store the goods brought up from farms far and wide on the canal. And while it does not have the fanciful woodwork of its street fellow, the structure the rough-hewn timbers is striking. For it has a balcony, which over hangs what is now the pavement, but was once a wharf. And, if you stand very still, even in the bustle of now, your mind’s eye might glimpse phantom barges pulling up, to offload their wares. These two buildings, they have lived many different incarnations. The Cloth Hall was part of a larger set of buildings which was put to use as a workhouse, a hospital and a school at different times. The Granary had a short spell as the town’s bus station. They are well-seasoned, experiences places. They have seen life. It was in 1903 that Newbury was bequeathed a miscellany. You know the term: a mish mash of curiosities, objects of wonder and debate from near and far that the great and the good have collected together in the name of science, or natural history, or anthropology, or a combination of all three. Newbury’s Literary and Scientific Institution Closed, and their collection needed a home. Thus it was that the Museum of Antiquities and Natural Curiosities came to live in the Cloth Hall in 1904, two years after it was restored in memory of Queen Victoria. And it has been hoarding wonders ever since. Ever since, that is, until it closed in 2010. Since then it hs been a little like a swan on the nearby canal, appearing serene but paddling furiously under the water. For it has secured a lottery grant to make the building fit for purpose, knocking down the link between the two buildings – made in 1934 to extend the collection – and replacing it with a sympathetic modern equivalent. Plans for displaying the collections are lavish, interactive, jaw-dropping: but before work could even start, the collection must be cleared. Which is where the Friends Of West Berkshire Museum came in. Two years, it has taken them, to label, pack and ship the hundreds of thousands of items in the eclectic little curiosity shop. And each one a volunteer. At the end of last year they received certificates for the specialised training they had used to become experts: training in documentation, object handling, packing objects, marking and labelling. Point is, they have finished. This enchanting little set of buildings is ready for the off. The architects and builders move in shortly. A grand new chapter in the life of my new favourite building is about to begin. Posted in Places to visitTagged berkshire, england, history, Newbury, the cloth hall, the granary, travel, West Berkshire MuseumBookmark the permalink. This is indeed charming. The renovations and upgrades sound exciting and not like the integrity of the charm is being too compromised. I hope that it is all you have been anticipating. 🙂 I do hope you’ll feel better very soon, too. Migraine sufferers have my utmost compassion. Bless Maddie! Good job! It’s a really exciting project. My next step is to find and interview a Friend! Can’t wait, Debra! Such a collection as that deserves a special home. I’m glad its new venue is a collectible as well. RE: the migraine. You have both my sympathy and my admiration. To dictate an interesting AND coherent post is quite a feat, To do it with a pounding head is a minor miracle. Thanks, Kathy. It is diverting to put a post like this together. And when you have a small PA writing your every word down and suggesting improvements, well, it takes the sting out of a migraine, if only for a little while! Sorry you are suffering again. Feel better soon. Hope the migraine goes as quickly as it came. Thank God I haven’t had one yet. Hope you never do, Roger. They turn the world black and white for three days. However, the chance to think about something else and write a post – it’s diverting. So sorry for your migraine, hope it goes away soon. The Lovely Miss TK is still in bed this am with one as well. A shout out Thanks to young Maddie for such a good posting. Do get better soon Kate, and a big well done to Maddie – will look forward to your return visit to the museum when it is completed. Miss Maddie is an able PA indeed, and your photos, as always, are wonderful! Feel better soon, Kate. Thank you (to you and Maddie) for the closer inspection. I loved that building in the previous photoset as well. I hope the migraine releases you soon, Kate. Thanks, Cameron. A day or two and it will be history. You (and Maddie) are amazing . . . thank you for a delight-filled post for us to enjoy while you, in silence, suffer. May your migraine recede in short order, allowing you to return to the land of antiquities and curiosities. Thank you, Nancy. I am immensely excited about this building. I intend to find out a great deal more before it opens in 2014! I’m so sorry about your migraine. I too suffer from those and can’t abide a screen (with its subliminal flickering light) during those times. Great post anyway!! I’ve ticked “like” for the post, not for the migraine. Hope you feel better soon. Cheers, Tinman. I’ll be over when it subsides to say hello. I’ll add my voice to the chorus of ‘Get Well Soon’, Kate. Sympathetic post, as per usual. The mention of the balcony reminds me that in many medieval towns upper storeys were, as you know, extended over the street line by the use of jetties, threatening to nearly meet the houses opposite so that neighbours could theoretically shake hands several feet above the ground. That doesn’t of course apply to the Granary balcony, but from your pics it does look rather handsome, the building’s crowning glory. It is incredibly striking, Chris. I stood gawping at it for ages: and of course, those who walked past it every day must have thought me very strange. Lovely building. Get well soon my friend 🙂 and thank you for your wonderful daily scripts, I remain forever in awe of your prodigious talent! We seem to be on the same cycle, Kate. I hope you find relief soon. Miserable business, isn’t it, Andra? Hope you feel well soon too. Oh, bother, Kate; I know how those migraines come up on you and keep you in painful captivity. Be well soon. Your lovely assistant is quite able. She deserves a bonus of some sort. What fun it will be to see this opened. I’d love it, I am sure. You would, Penny! The artefacts inside must be just amazing. and packed by those wonderful volunteers, too…. I am glad that you are feeling better. The pictures remind me of a trip to Chester. I haven’t been to Chester yet, Steven. Now I must put it high on my list! Excellent story, Kate and Maddie. These bits of history – and photos – are wonderful. Hope you’re feeling better soon, Kate. I do hope your migraine has completely cleared. The Grand Reopening is something much to be looked forward to. Well done to all who have caused it to be about to happen. 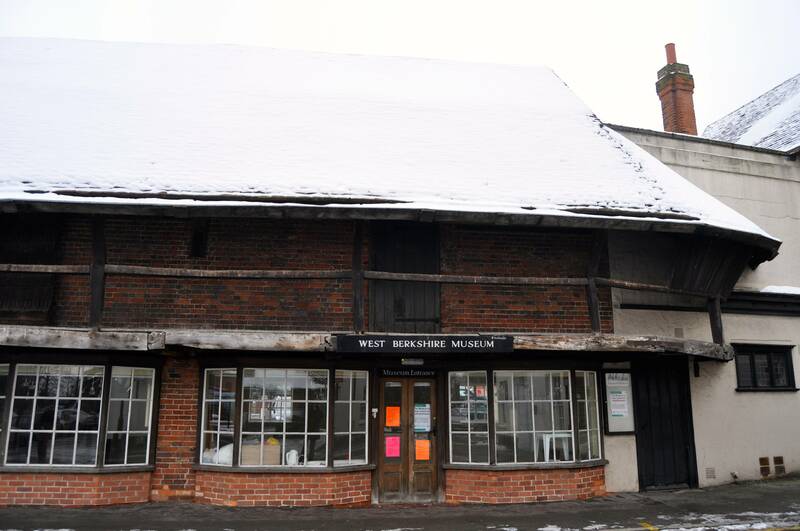 Interesting to read about Newbury, museum and the painstaking restoration. Hope your migraine is better. Take care. Sounds like an exciting revamp Kate. Look forward to seeing the interiors through your eyes when its fully done. Glad you are feeling better.